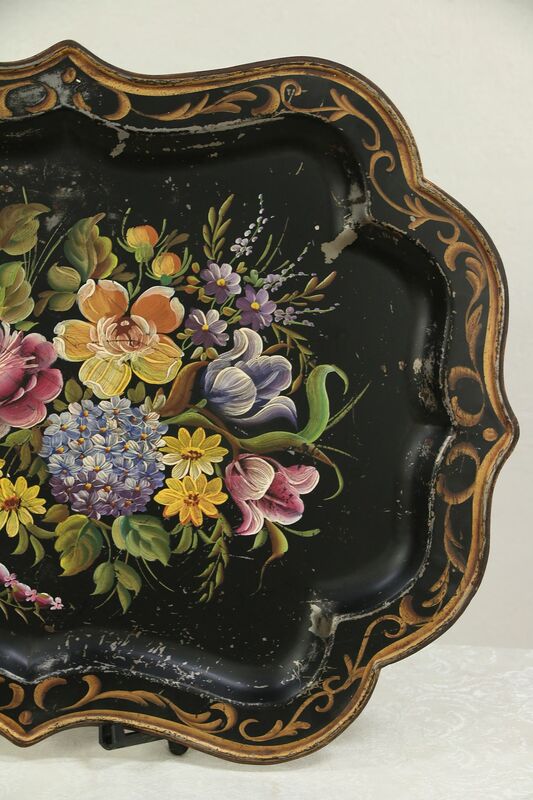 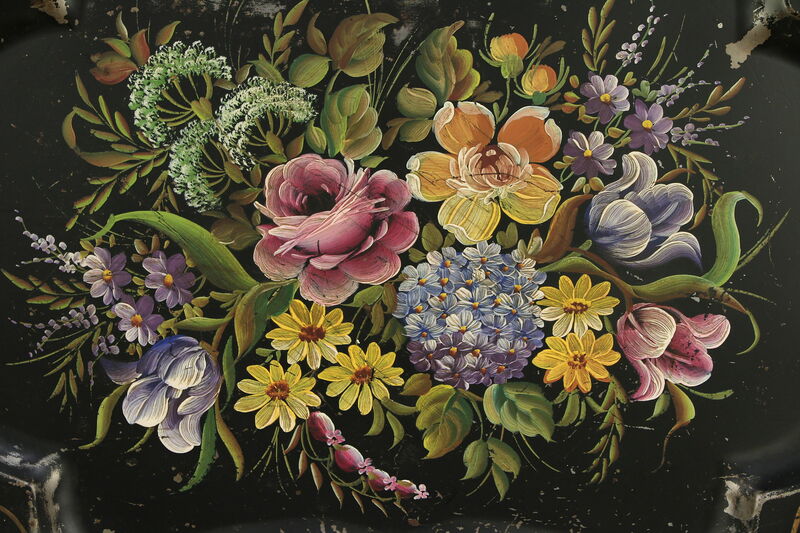 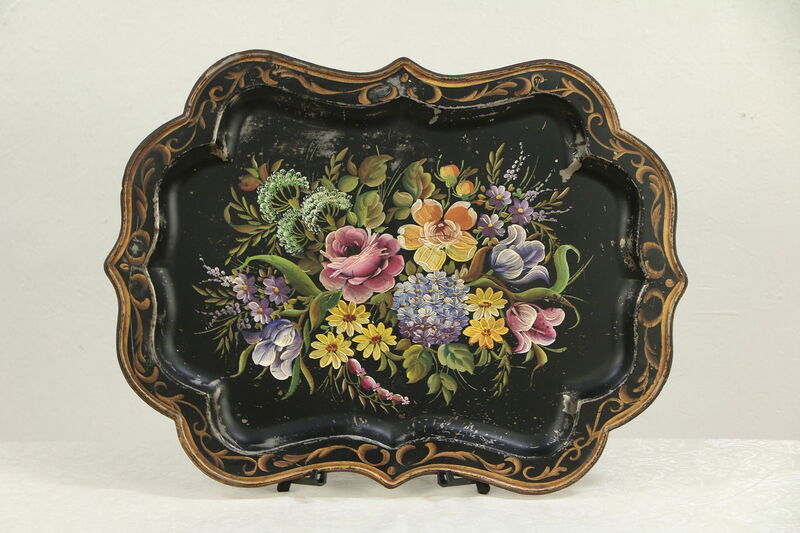 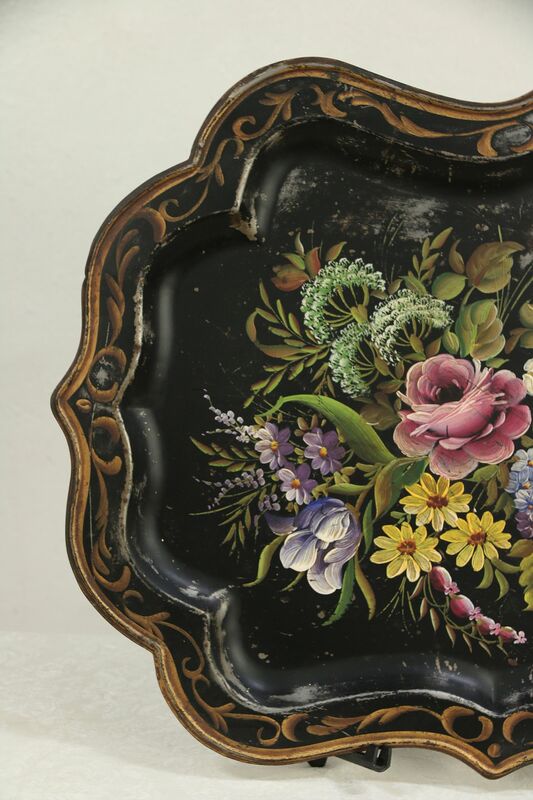 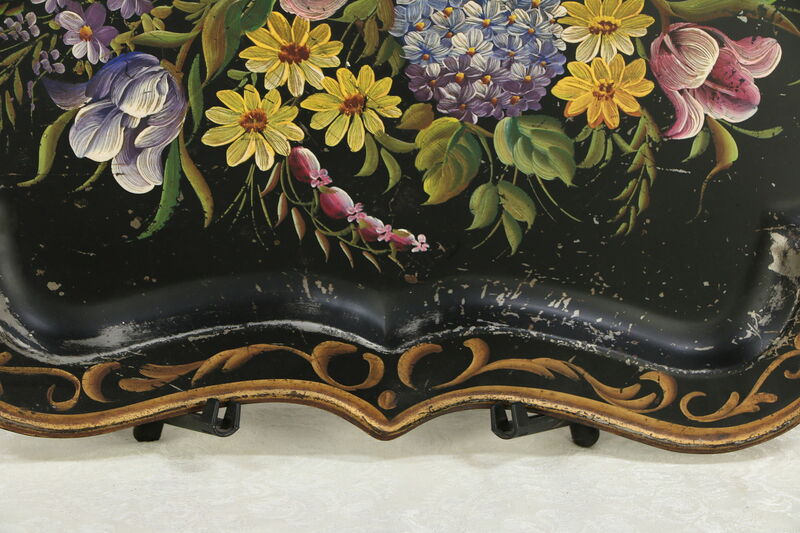 This tin "tole ware" tray has hand painted flowers and dates from about 1860. 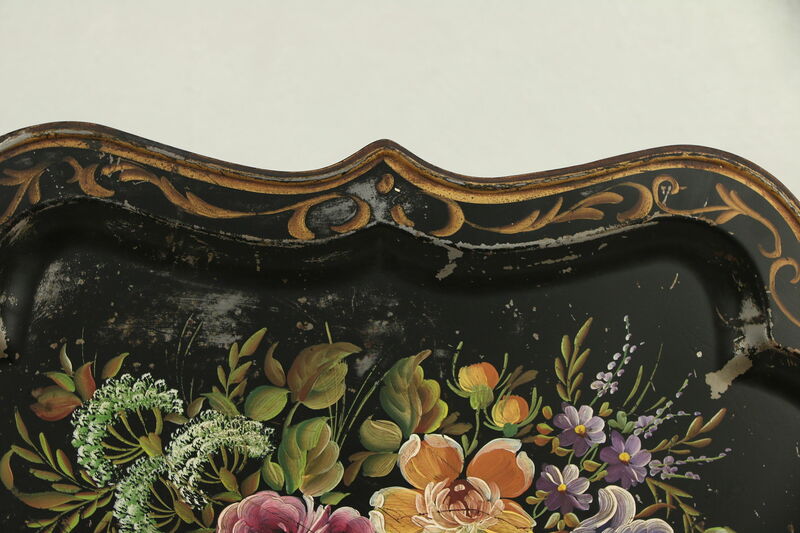 The original painting is worn and has losses, see photos. 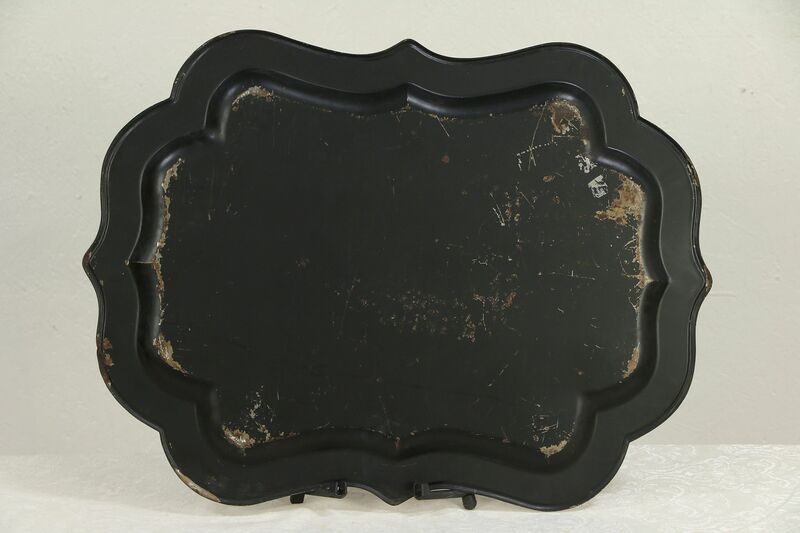 American made, size of this sturdy shaped antique tray is 26 1/2" long, 20" wide and 1" deep.